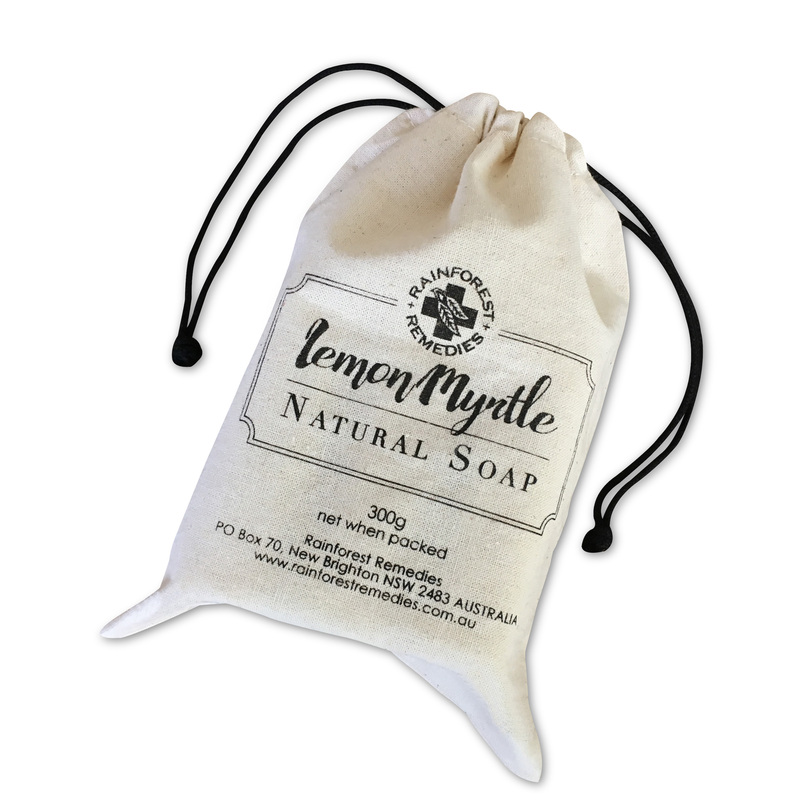 3 x 100g Lemon Myrtle exfoliating soaps in a 100% cotton drawstring bag. Contains dried ground Lemon Myrtle Leaf as the exfoliant. Sodium Palmitate, Sodium Palm Kernelate, Palm Kernel Acid, Sodium Chloride, Purified Water, Glycerine, Backhousia Citriodora (Lemon Myrtle) Oil, Macadamia Oil, Crushed Lemon Myrtle leaves, Organic Natural Colour.